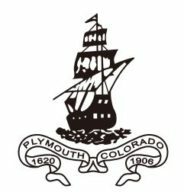 The General Society of Mayflower Descendants has been dedicated to preserving both the genealogies and histories of our Pilgrim ancestors for over one hundred years. From the foundations of American religious freedom, to Thanksgiving, to early Colonial history itself, the individuals from whom our members descend played a vital role in the development of our national identity. The histories are intended to give the reader a brief survey of Pilgrim history, as well as the histories of numerous traditions, and our hereditary society itself. We hope that the information here inspires you to research further into the diverse and rich history our Pilgrim forefathers left us.